This study concerns the long wave theory of capitalist development with an aim to discuss and analyze the impact of nanotechnology on manufacturing industry. Long wave theory was asserted by Russian economist Kondratieff and it states the capitalist development with subsequent cycles which last 40 to 60 years each. The theory of Kondratieff was also contributed by other scholars as Schumpeter, Freeman, and Perez. Our research attempts to review how nanotechnology contributes economic growth, and how it changes the structure of manufacturing industry at the eve of the sixth Kondratieff wave. 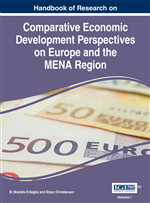 This structure was examined by using comparative case study of European Union, East Asian Newly Industrialized Countries and Middle East and North African (MENA) countries. The 2007-2008 crisis that went down in history as the first global crisis of the twenty first century and qualified as the “great depression”, brought together the debate about the economic growth and industry policies of many countries. Starting from 2008 the American mortgage crisis has transformed into a global crisis and hit many national economies. While the world’s growth slowed down, industrial production declined owing to both global and domestic demand collapse in many countries. It can be said that world economy has divided into two main economic sides since the late 1990’s. One of the sides, the so called surplus economies, consists of national economies which have technology intensive industrial production base and competitive advantages in the engineering industry (automotive, machine, electronics, chemistry) such as Germany, South Korea, China, (albeit China’s export depends on less technology intensive sectors); on the other side, the so called deficit economies, consisting of the USA, Southern parts of the European Union (Italy, Spain, Greece, Portugal), and Turkey. It is observed that behind the processes of their growth; are the fund flow and borrowing capacity of households through expanding credit, rather than relying on a successful technology-intensive industry capacity. This financial-based growth inevitability resulted in debt crises in many countries such as Italy, Greece, Portugal, and Iceland. This debate that is ongoing in academic circles is related to how capitalism will get out from the ongoing stagnant conjecture and how a stable and sustainable economic growth would be ensured in the world’s economy by reducing uncertainties after the crisis. While understanding the fact that the stagnancy caused by the crisis, which commenced in the global financial markets and dominated the real economy by expanding in a short period, would last for an extended period caused a questioning of the current industry policies, it accelerated the new industry policy searches that constitute an alternative for such policies as well. Countries are in search of a new industry policy for the revitalization of the industry and for recapturing permanent growth. In today’s world where the demands for reindustrialization are increased, this priority is set to render the country’s industry policies with the growth targets and base them on a sustainable growth strategy (OECD, 2013). The moving force of this new industrialization process will be the new generic technologies. In the OECD countries, share of the manufacture industry within the national production-added value and employment has been diminishing for the last thirty years. While the industry is losing its competitiveness, service sectors are growing more rapidly. The findings of UNIDO from the data that involve 90 countries in the 1950-2005 period, showed the proportion of the manufacturing industry within the GDP presents the fact that this proportion varied between 25 and 40 percent in the period subsequent to the Second World War in the early industrializing countries and exhibited a tendency toward a rapid decrease after 1980. The findings show that the regression in the proportion of the manufacturing industry in the GDP encountered since the 1980s are being experienced in developing countries (UNIDO, 2013). Technoeconomic Paradigm: Techno-economic paradigm are at the core of general, innovation-based theory of economic and societal development as conceived by Chris Freeman and Carlota Perez. Neo-Schumpeterian theory, or technoeconomic paradigm approach, is a theory that combines Kondratieff’s long waves theory with Schumpeter’s economic development theory and that focuses within the capitalist development process on technological change. Manufacturing Industry: Manufacturing industry refers to those industries which involve in the manufacturing and processing of items and indulge in either creation of new commodities or in value addition. Kondratiev Wave: Kondratiev wave is long termed fluctuations that can be considered to have consisted of four main periods as improvement, well-being, shrinkage, and crisis. It is claimed that the period of the wave ranges from forty to sixty years. Nanotechnology: Nanotechnology is the manipulation of matter on an atomic, molecular, and supramolecular scale.